Perfect for luncheons, banquets, and much more! Each stand measures approximately 9.5 in. x 8 in. Serve your guests in style with our 3 tier cupcake stand! 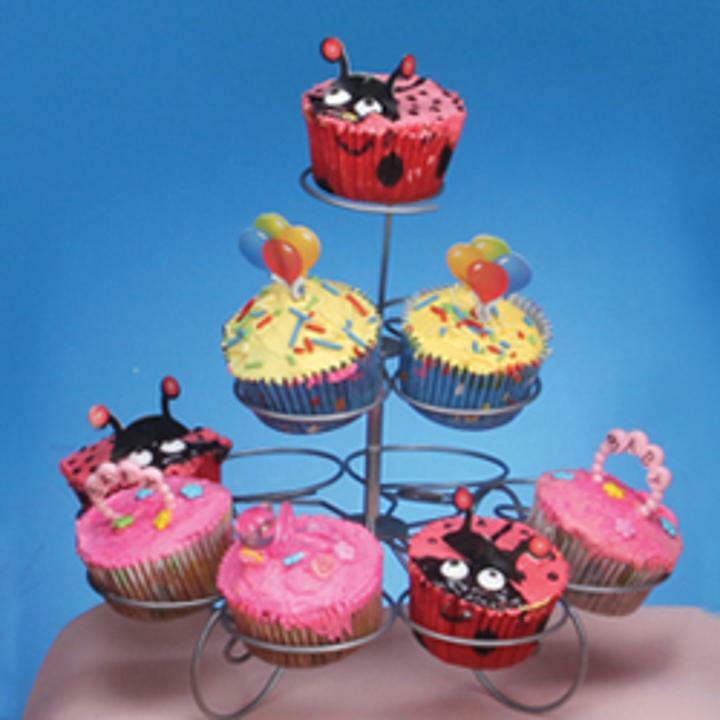 Made of metal, each stand can display up to 13 cupcakes or other assorted pastries. Perfect for luncheons, banquets, and much more! Each stand measures approximately 9.5 in. x 8 in. 9.5 in. x 8 in.